Congratulations, you made it through your first trimester! You’re probably getting excited to tell family and friends your good news; your clothes aren’t fitting quite as well and your baby bump will soon be hard to hide. Hopefully any morning sickness is gone, your energy levels have increased a bit, and you are feeling more comfortable in your changing body. Your baby is changing quite rapidly too. His or her organs, nerves, and muscles are formed, eyes and ears are clearly identifiable, his bones and the tissues that will become his skull are beginning to take form, and if you get a sneak peek at him, you may even see the tiny ribs of his rib cage. He can also now move. Early in this trimester you may not be able to feel much movement – give it until about week 17 to feel “flutters” or movement from your little one – your baby’s most active time is yet to come. 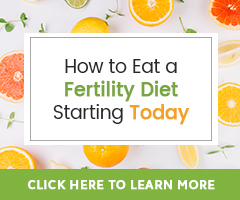 Your baby starts producing hormones during this time and is growing at such an exponential rate that it is vital to continue focusing on nourishing yourself. Your appetite should be better for the next 3 months, now that the bouts of nausea experienced in the first trimester have gone away. The second trimester is a great time to focus on enjoying healthy foods while you still have lots of room in your belly. In the 3rd trimester, women often experience a lack of appetite because their stomach is quick to fill, as the growing baby takes up most of the room. Omega – 3 – Hopefully by now you have been taking a whole food prenatal multivitamin and considered or started taking a quality omega 3 supplement like Cod Liver Oil. Studies show that the essential fatty acids contained in cod liver oil are important for proper development of a growing baby, especially of the brain, nervous system, hormones, and body tissue. Iron – Your circulatory system is continuing to expand during the next three months and your body is making more blood. You may have brief dizzy spells during hot weather, upon standing up or in the shower as a result of dilation of tiny blood vessels, which briefly reduces the blood flow returning back to your heart. Because of the increase in formation of red blood cells, adequate iron intake is very important. If you do not get adequate amounts of iron, you may become anemic. Nutrition tip – Eat blood building foods that are rich in iron such as Grass-fed beef, dried Turkish apricots, beans, cage free eggs and chicken, dark leafy greens, and pumpkin seeds. Protein – Protein is made up of amino acids that are the building blocks of the cells of your body AND the cells of your baby; they also provide energy. In pregnancy, you need to be consuming at least 70-90 grams of protein a day. Nutrition tip – Boost protein intake with a high-quality protein supplement. We like FertiliWhey Protein Powder; just one scoop contains 16 grams of protein! Calcium/Magnesium – Calcium and magnesium, along with vitamin D, are necessary for the proper bone and tissue formation in a developing fetus, which is happening at a rapid pace during the second trimester. – Calcium enables the blood to clot and muscles to work smoothly, and may also help to prevent high blood pressure and preeclampsia. 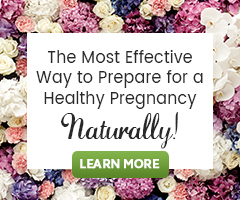 – Magnesium may help prevent leg cramps (along with calcium), which many pregnant women begin to experience starting in the second trimester, often continuing into the third trimester. Nutrition tip – A few food sources of calcium and magnesium both are grass-fed, organic dairy products, dark green leafy vegetable (spinach and Nettles), Red Raspberry Leaf, whole grains, many nuts and seeds (almonds, peanuts, hazelnuts, Brazil nuts, and pumpkin and sunflower seeds), blackstrap molasses, figs, and quinoa. Vitamin D – Vitamin D is known to increase calcium absorption, which is essential to healthy bone formation, to support the immune system, aid in hormone production, and may help prevent depression. Current research shows a link between vitamin D deficiency and increased chances of pregnant mothers getting preeclampsia, which may present as swelling of the face and hands, headaches, vision changes, nausea, and sudden weight gain around the 20th week of pregnancy and up to 6 weeks after birth. It may help to supplement Vitamin D in addition to a whole food prenatal multivitamin to help prevent premature labor, preeclampsia, gestational diabetes, and infections. Nutrition tip – Cod Liver Oil contains high amounts of Vitamin D. In fact, most resources rank it highest on the list of dietary sources of this vitamin. 2. Stay Hydrated! Drink Water! Your fluid intake needs to increase to 10 cups of water per day to support your body in making more blood, but also to prevent dehydration, which can lead to nausea and contractions. It’s way too early for contractions! Carry a water bottle (stainless steel or glass) with you at all times. To continue providing your body with adequate amounts of nutrients needed for pregnancy and to prevent fatigue and low energy, keep eating a variety of organic meats, vegetables, especially dark leafy greens, fresh fruits, and coconut oil. Be sure to exercise at least five days a week. While energy levels ebb and flow throughout the second and third trimesters, helping the body adjust to and produce energy, this requires an abundance of vitamins and minerals. Dark green leafy vegetables not only provide necessary vitamins and minerals, but also antioxidants, which fight free-radicals that tax body systems and can lead to fatigue. 1. Pure powdered spirulina – spirulina is a plant source of protein and is very high in a variety of vitamins and minerals. You may be wondering why I suggest coconut oil. This is because Coconut oil is a medium-chain fatty acid that supplies the body with rich amounts of healthy saturated fat necessary for energy production and proper body function. Coconut also contains lauric acid, also found in breast milk, which has been found to have antiviral, antibacterial, and parasiticidal (kills parasites) properties that support proper immune function for you and your baby during pregnancy and while breast feeding. Even though you may feel more energetic, remember to rest when you feel fatigued or tired. The body needs rest to rejuvenate. Rest is also calming and stress-relieving! So, while the energy levels you may be experiencing might make you feel ready to get things done, periodically stop, sit, and put your feet up (this will help keep your ankles from swelling too). As you may now know, pregnancy comes with a variety of aches, pains and sensations. Try not be alarmed, but if you are, never hesitate to contact your healthcare provider! Keep exercising – walk, swim, try Prenatal Yoga, or do all three. Consider natural therapies – pregnancy massage, meditation, Acupressure or Reflexology (please ensure your therapist is trained in performing these therapies in pregnancy). Relax and put your feet up – you deserve it! The physical act of elevating your feet helps blood flow back to your abdomen and heart reducing swelling and the potential risk of blood clots. Apply heat – especially to your lower back to soothe the soreness and aches. Try making your own heating pad by filling a cotton sock with plain white rice (because you are no longer eating it if you follow the Fertility Diet), buckwheat hulls or flax seeds, tie the loose end in a knot and heat it for about 1 ½ to 2 minutes in the microwave until it’s nice and warm. I have even added dried lavender flowers to use as a warm eye pillow before bed. Prenatal care – Have you chosen a practitioner – doctor or midwife? If not, interview, interview, interview! Schedule upcoming visits and an ultrasound (if you wish to), discuss glucose screening to screen for Gestational Diabetes with your healthcare provider, and consider optional testing such as the Quad Screen to assess your baby’s chances of having certain genetic diseases and birth defects if this is of concern to you. Birth – Will you give birth at home or in a hospital? – prepare for both! Are you considering a doula or birth team? Interview even more! Your doctor or midwife and their team can help with preparing for the birth of your baby. Nesting – Decorate your baby’s nursery, participate in planning the baby shower, and brainstorm baby names (believe it or not this can be a challenge). Diapering – Will you be using disposable or reusable cloth diapers? Feeding – Will you be breastfeeding or formula feeding, or both? Obtain a breast pump and bottles. Childcare – Who will be caring for your child if you return to work? Would you like his/her care to be in your home or out-of-the-home with a childcare provider? Interview daycare providers or nannies, or visit childcare centers. Meals – Make ahead and freeze meals for you and your husband. Choose those that are easy to reheat, which saves time in the kitchen and the stress of meal preparation while needing to nurse, or simply wanting to take a nap. Don’t forget during the next three months to revel in the wonder of growing a child within you. Talk to your baby, read to him, even listen to music and ask you partner or husband to do the same. It may feel odd at first, but it allows your partner a chance to feel a deeper connection to you and this tiny baby. Best wishes as you plan and grow! Gladstar, R. (1993). Herbal healing for women: Simple home remedies for women of all ages (pp. 171-181). New York: Simon & Schuster. Harms, R. (2004). Mayo Clinic guide to a healthy pregnancy (pp. 79-112). New York: Harper Resource. Romm, A. (2010). Pregnancy: Second Trimester. In Botanical medicine for women’s health (pp. 364-369). St. Louis, Mo. : Churchill Livingstone/Elsevier.